After travelling for 11 years and living in many different parts of the world we decided to settle back in the Cotswolds at Oak House No.1 here in lovely Tetbury. The house is filled from top to bottom with things that reflect our interest in art, decor and style, objects gathered from far away places like India, Bali, Bangkok, France and Italy, as well as many special pieces from London galleries. If your interests are in art and decor your eyes will be bombarded with many amazing things, old and new, contemporary and antique. Oak House No.1 is not just a luxury hotel in the Cotswolds, but a place alive with unusual artefacts, pictures, interesting tales, fun and wonderful memories. About Us – Oak House No.1 is a luxury Cotswolds hotel with a totally unique approach to hospitality, here’s what one guest says …..” When Alice arrived in wonderland and Doctor Parnassus invented his imaginarium, they must have been here. Where designer opulence collides with creature comforts, where art, creativity, rock and roll and inspiration drips from the walls, where glitz and glamour meet tradition and taste. Receive the warmest of welcomes , A stand alone experience, second to none”. Jon, Uckfield. Exclusive and discreet – a Celebrity Bolt Hole in the Cotswolds Oak House No.1, Cotswolds luxury hotel has become a favourite with TV personalities, rock stars and even royalty. Guests have included, Miranda Hart, Johnny Vegas, Tim Minchin (of ‘Matilda’ the musical fame), Kelly Jones lead singer of the Stereophonics, the UK’s favourite tenor Russell Watson, Oscar winner, Sir Tom Stoppard and many others. You too will receive a warm welcome and discreet service here at Oak House No.1 and unlike other Cotswolds luxury hotels Oak House No.1 will seem like your home from home. In 2016 The Sunday Times Travel Magazine named Oak House No.1, Cotswolds luxury hotel as one of their ‘100 Ultimate hotels in the whole of the UK’. Food and Travel Magazine readers voted us in the top 4 Boutique places to stay in the UK and Oak House No.1 has appeared in the Guardian, Tatler, 25 Beautiful Homes, The Sunday Times Style Magazine, The Sunday Times ‘Travel’ Magazine, Conde Naste Traveller, Elle Magazine, The Independent and many more magazines as far afield as Italy, China and Brazil. In fact, Esquire magazine (China) recently named Oak House No.1 ‘the best art hotel in the UK’. Oak House No.1 has been awarded a 5* ‘Certificate of Excellence’ and a 100% customer satisfaction rating from Trip Advisor and described as ‘Outstanding’ and ‘Exceptional‘ based on guest reviews. Oak House No.1 is unlike any other 5 star luxury hotels in the Cotswolds, our aim is that you to leave with a lovely unique experience to remember and not just another hotel stay. Exceptional Reviews : Please do take a look at our Trip Advisor reviews at the top of our web page for an honest cross section of opinions from our guests. Oak House No.1 has been named in the top 3% of all world hotels for customer satisfaction, something that we here are extremely proud of and also awarded a 9.9/10 ‘Recognition of Excellence’ in 2018 from Hotels Combined the world’s leading hotel comparison site. Booking.com rated Oak House No.1 9.5/10 in 2019. The House : Our luxury hotel in the Cotswolds is set in a fine Georgian square right in the heart of Tetbury (voted ‘the best Market Town in the Cotswolds’) where there are a choice of independent boutiques, foodie shops and delicatessens, but there is an oasis of calm and privacy in the secluded garden at the back of the house. Tetbury also has a diverse selection of antique shops and has long been regarded as the antiques capital of the Cotswolds, so you will have great fun just browsing through the range of antiques on offer, some high end (Lapada) and many more affordable. There are a choice of restaurants, great pubs and country walks, all just a moments walk from our door. In a recent survey, Tetbury was voted as the UK’s 3rd best town in which to live. The Highgrove Shop, Prince Charles’ flagship store is just around the corner and there is glorious countryside within walking distance and we have a full size range of Hunter wellies for your use so there’s no excuse for a brisk walk over even the muddiest of fields. This is like no other luxury hotel in the Cotswolds, the jewel-like interiors of Oak House No.1 are a visual feast featuring a stunning art collection, in the dining/breakfast room original Andy Warhol and Grayson Perry works sit with precious trinkets collected from world travels from Bali to London. Quite simply other Cotswolds luxury hotels cannot match the unique collections of amazing artworks including limited edition bronze chairs by Mark Brazier-Jones (part of a huge collection of his work), adorning the public spaces and also some pieces in the bedrooms. Mark Brazier – Jones is regarded as a ‘master’ furniture maker and is collected by some notable figures including, Madonna, Sylvester Stallone, Brad Pitt, Sir Mick Jagger and many others. The decor is an irreverent mix of traditional and contemporary styling, where the finest quality antiques and unique bespoke modern furniture sit alongside each other in harmony. Indeed in 2015 Oak House No.1 was named ‘The Best Art Hotel in the UK’ by Esquire Magazine (China) and Gary’s interior design work has been featured in the ‘Andrew Martin Interior Designer of the Year Book’ and has also designed interiors for many properties in the UK, the South of France and Australia. You will dine at breakfast in the elegant dining room where Royal Worcester bone china, silver cutlery and crystal glasses adorn the bespoke – made dining table, overlooked by and original Andy Warhol ‘Queen Elizabeth’ (once owned by novelist Lord Jeffrey Archer), a truly unique and glamorous setting for breakfast and something unsurpassed by any other hotel in the UK. The sparkling new bathrooms feature the best in designer fittings by Philippe Starck, whilst the bedding in each room is the world’s finest ‘Frette’ Italian linen and super soft Siberian Goose down pillows. 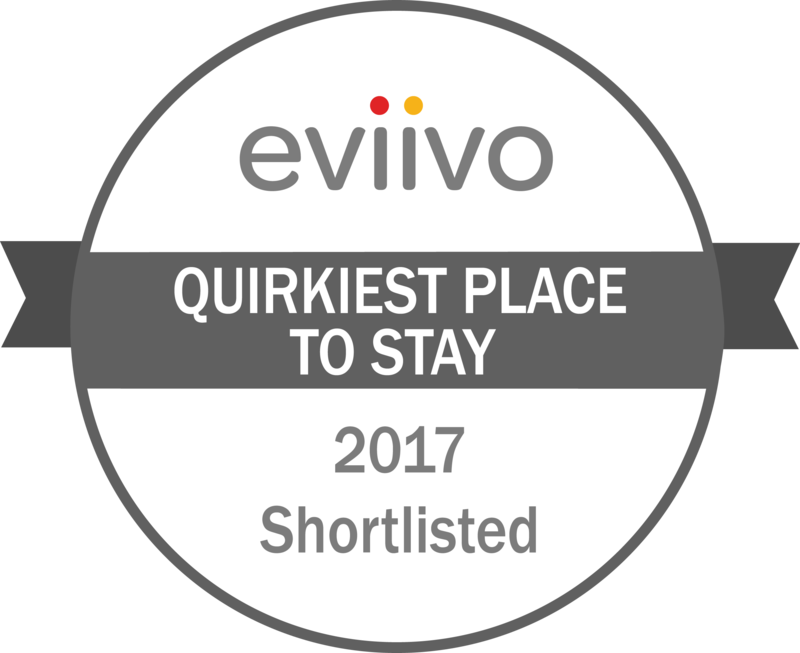 Many of our well travelled guests have remarked that Oak House No.1 exceeds there expectations of a 5 star hotel in the Cotswolds. If you are visiting Highgrove House and looking for a luxury hotel in the Cotswolds Oak House No.1 is just a few moments away. The Highgrove Garden tour is available each May through to September – you can even book a “Champagne Afternoon Tea Package” to make your visit even more special. We have visited the gardens at Highgrove, which reveal some interesting insights into the planning and personal vision of Prince Charles who has created the gardens from bare fields over the past 30 years. Each tour guide has vast knowledge of the gardens and has been personally briefed by Prince Charles himself, tour groups are no larger than 16 people and take around 2 hours. You do need to book at least two months in advance as slots for the tours are taken very quickly. Westonbirt National Arboretum is close by, just 5 minutes away, the Westonbirt Autumn Colours are said to be the best show of colour outside New England, with the largest Japanese Maple collection anywhere in the UK. The Arboretum also hosts many concerts during the summer months, recent acts have included, Blondie, Paul Weller, Jesse J, Simply Red, Status Quo, Jools Holland and in 2016 Sir Tom Jones . There are no other Cotswolds luxury hotels nearer to Westonbirt Arboretum than Oak House No.1. With the beautiful Cotswolds countryside on our doorstep there is plenty to explore and all just 70 minutes from London. If you are thinking of staying for a longer period Oak House No.1 is actually very well placed to get to Bath , only 35 mins, Cheltenham 40 mins, Bristol 40 mins and even Oxford is no more than an hour away, where you can visit Blenheim Palace or spend an afternoon at Bicester Shopping Village. We are happy to help you with advice on small tours of the best villages in the Cotswolds and surrounding areas. (see our ‘Sightseeing tours’ at the top of the webpage for some great ideas). The owner, Gary Kennedy (Ba Hons), studied fine art at Saint Martin’s School of Art and is a celebrated interior designer and art collector (featured on TV and in many magazines in the UK and overseas). Using music to transform lives, Nordoff Robbins is the UK’s leading provider of music therapy services. Working to improve the living conditions of the Ugandan people, focussing on education, health and sanitation with the provision of clean water. Celebrity social enterprise to save lives by the provision of clean water to millions of people. Teens Unite was co-founded in 2007 by Karen Millen OBE and Debbie Pezzani. It evolved out of a passion for supporting those in need and following several years of research in the teenage cancer field ascertaining what was lacking for this age bracket. The Better World Awards – Monaco – annual gala night supporting a variety of worthy charities.